Fox the Tiger - One of the BEST Books for Beginning Readers! We are so excited to introduce a new blog series here at Happily Ever Elephants - cover reveals! What is a cover reveal, you ask? Cover reveals happen several months before a new book hits the shelves, and they provide a wonderful avenue for authors and illustrators to share a sneak peak at their upcoming release(s) with their audience. The front cover of a book is, for all intents and purposes, the first page of the story. It communicates to the audience a bit about the pages inside, and it must be compelling enough to draw a reader's attention. From the cover alone, readers often get a sense of the story's genre, tone and writing style. A cover often makes a strong emotional appeal to the reader, thus getting the reader excited about the book pending release. Need I say more? For our inaugural book cover here at Happily Ever Elephants, we are absolutely thrilled to introduce you to author Ariel Bernstein. Ariel's debut picture book, I Have A Balloon, is one of our very favorite picture books from 2017- it never fails to make us laugh, and it is a fabulous, humorous introduction to the concept of "wants" versus "needs." 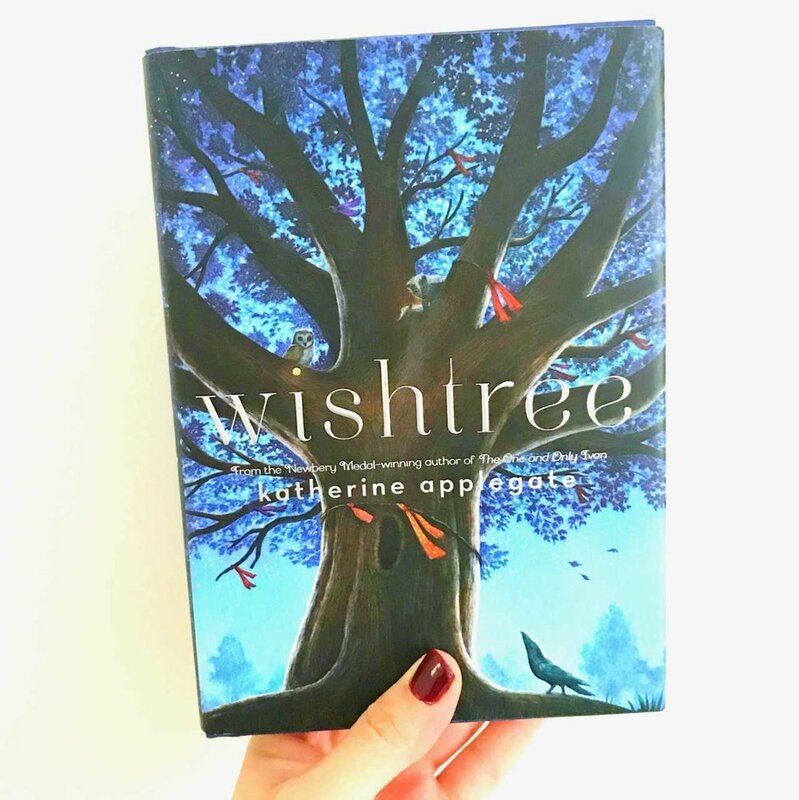 Thus, when Ariel asked if I would like to do a cover reveal in connection with her new chapter book series that will be out next year, I jumped at the chance! I’m a big believer in taking breaks. So a few years ago, when I was feeling a little burnt-out from working on picture books, I knew that a short break was in order. Still, I didn’t want to completely stop writing. I had been interested in working on a chapter book series for a while, and I decided to give it a try. The only problem? I didn’t know what the chapter book series should be about. I remembered a picture book I’d recently written. It was about a boy who told a pirate, a witch, and a dragon that he was scared to start kindergarten. The pirate, witch, and dragon thought the boy was being ridiculous, since they were all way scarier than kindergarten. By the end of the book, the boy was happy to return to school, while the pirate, witch, and dragon found kindergarten to be the scariest thing they’d ever encountered. I liked the concept, but the manuscript itself never totally worked. I decided to take the characters of the boy and pirate and see if I could turn their relationship into something that would last for a whole chapter book. However, by the time I got to the third page, I was already annoyed at writing the pirate’s dialogue. An ‘Argh, Matey!’ here or there was fine for a picture book, but it felt very repetitive for a longer chapter book. I crossed out the idea of a boy and a pirate. I looked back at the story and noticed the dragon character. So I began to write about a boy and a dragon, and I loved the back and forth banter between the two. I made the boy, now named Warren, into a dreamy second grader. The dragon character turned out to be oblivious and vain, with a serious marshmallow obsession. I added a socially adept but know it all twin sister, two parents, and a few other characters. After a couple months, I’d come up with the first book for my new series, WARREN AND DRAGON. Since then, I haven’t taken any long breaks from writing chapter books as I’ve written the second and third book in the series, and will soon start on working on the fourth. Luckily, I love writing about Warren and Dragon’s adventures, and I hope readers will love them as well! Ready for some more fun with Ariel? Check out our speed interview! 1. As a kid: books or basketball? Definitely books! Thanks, Ariel! 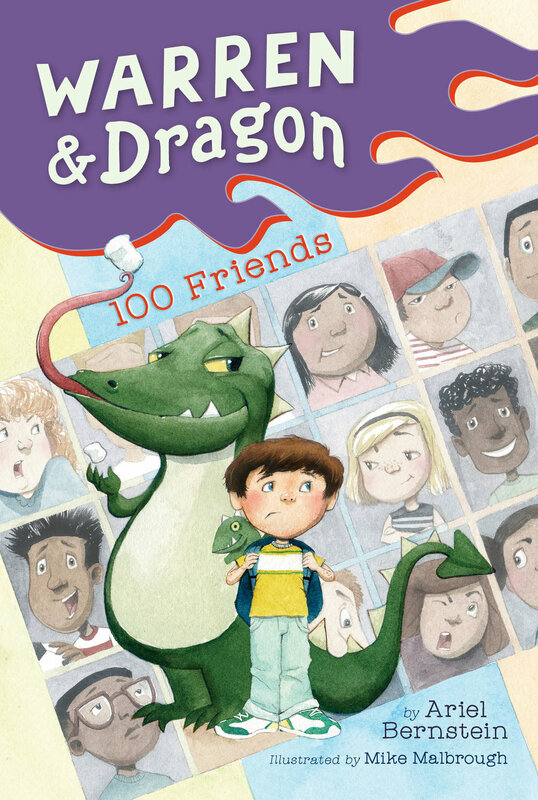 Books 1 and 2 of the Warren & Dragon series (100 Friends and Weekend with Chewy) will be published by Viking Books for Young Readers and released on August 28, 2018. Stay tuned! 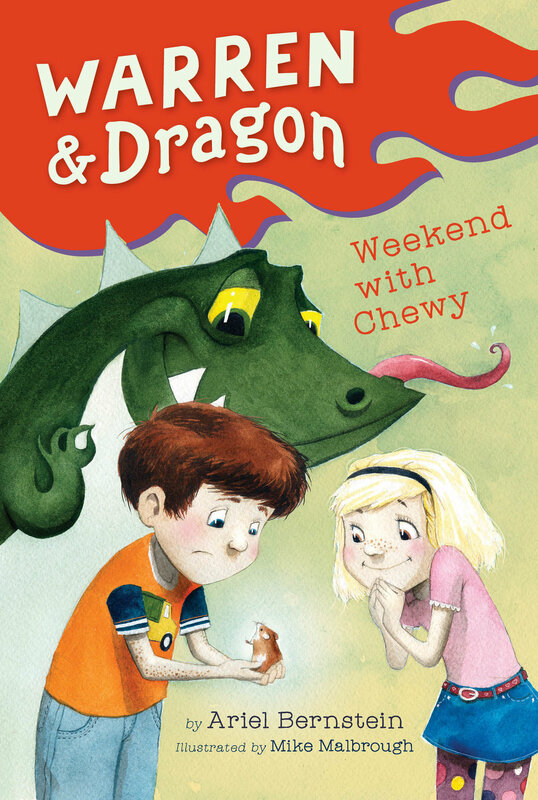 And because I won't leave you hanging, here is the awesome cover for book 2, Weekend with Chewy. Enjoy!